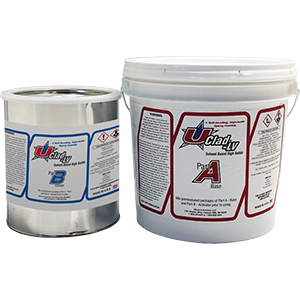 UClad-LV® is a two component, low viscosity high build epoxy formulated for medium to high traffic areas. For areas requiring as fast turnaround, UClad-LV® is ready for full activity in as little as 12 hours. When applied UClad-LV® will provide a thick film that is suitable for the abrasion resistance for a manufacturing areas and chemical resistant enough for gas, skydrol, hydraulic fluid and more plus provide a high gloss shine. 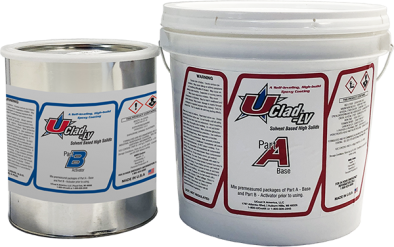 Includes UClad-LV epoxy coating materials, applicator tools, mixing pail and instructions. Includes UClad-LV epoxy coating materials only.